Before we spend countless hours researching a company, we’d like to analyze what insiders, hedge funds and billionaire investors think of the stock first. We would like to do so because our research has shown that the elite investors’ consensus returns have been exceptional. In the following paragraphs, we find out what the billionaire investors and hedge funds think of Applied Materials, Inc. (NASDAQ:AMAT). Applied Materials, Inc. (NASDAQ:AMAT) shareholders have witnessed a decrease in activity from the world’s largest hedge funds lately. Our calculations also showed that AMAT isn’t among the 30 most popular stocks among hedge funds. We’re going to analyze the new hedge fund action surrounding Applied Materials, Inc. (NASDAQ:AMAT). What does the smart money think about Applied Materials, Inc. (NASDAQ:AMAT)? At the end of the fourth quarter, a total of 40 of the hedge funds tracked by Insider Monkey held long positions in this stock, a change of -7% from the previous quarter. Below, you can check out the change in hedge fund sentiment towards AMAT over the last 14 quarters. With the smart money’s sentiment swirling, there exists a select group of notable hedge fund managers who were boosting their stakes considerably (or already accumulated large positions). The largest stake in Applied Materials, Inc. (NASDAQ:AMAT) was held by D E Shaw, which reported holding $253 million worth of stock at the end of September. It was followed by Lansdowne Partners with a $251.3 million position. Other investors bullish on the company included AQR Capital Management, Citadel Investment Group, and D1 Capital Partners. 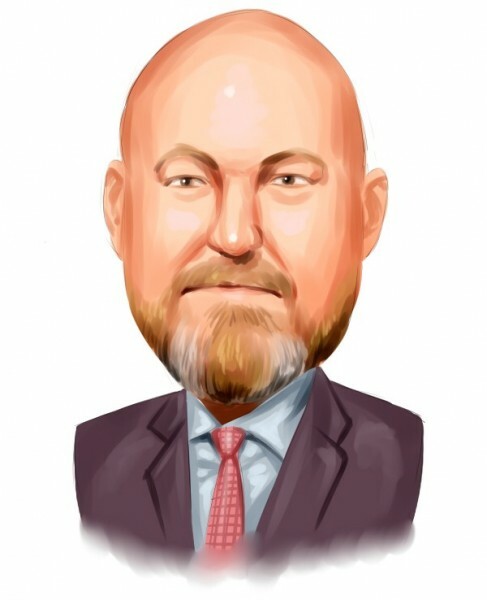 Because Applied Materials, Inc. (NASDAQ:AMAT) has experienced declining sentiment from hedge fund managers, it’s easy to see that there is a sect of fund managers that decided to sell off their entire stakes in the third quarter. At the top of the heap, Thomas G. Maheras’s Tegean Capital Management cut the largest position of the 700 funds monitored by Insider Monkey, worth an estimated $19.1 million in stock, and David Kowitz and Sheldon Kasowitz’s Indus Capital was right behind this move, as the fund cut about $18.6 million worth. These bearish behaviors are interesting, as aggregate hedge fund interest was cut by 3 funds in the third quarter. Let’s now take a look at hedge fund activity in other stocks similar to Applied Materials, Inc. (NASDAQ:AMAT). We will take a look at Red Hat, Inc. (NYSE:RHT), NetEase, Inc (NASDAQ:NTES), Ross Stores, Inc. (NASDAQ:ROST), and Constellation Brands, Inc. (NYSE:STZ). All of these stocks’ market caps match AMAT’s market cap. As you can see these stocks had an average of 46.75 hedge funds with bullish positions and the average amount invested in these stocks was $3143 million. That figure was $1674 million in AMAT’s case. Red Hat, Inc. (NYSE:RHT) is the most popular stock in this table. On the other hand NetEase, Inc (NASDAQ:NTES) is the least popular one with only 27 bullish hedge fund positions. Applied Materials, Inc. (NASDAQ:AMAT) is not the least popular stock in this group but hedge fund interest is still below average. 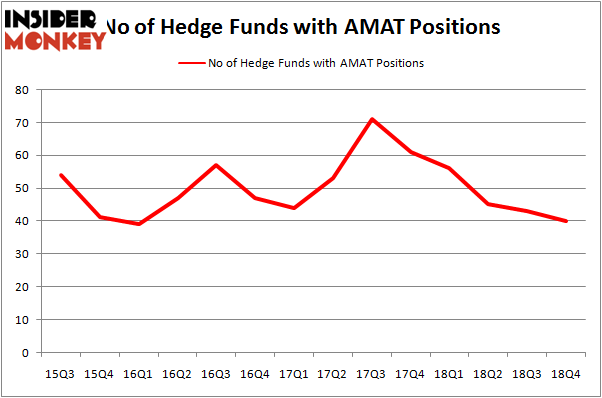 Hedge funds clearly dropped the ball on AMAT but most of their consensus picks performed well. Our calculations showed that top 15 most popular stocks among hedge funds returned 19.7% through March 15th and outperformed the S&P 500 ETF (SPY) by 6.6 percentage points. The handful of hedge funds with AMAT positions were also proven right as the stock returned 24% and outperformed the market as well. Were Hedge Funds Right About Ecolab Inc. (ECL)? Is Vertex Pharmaceuticals Incorporated (VRTX) A Good Stock To Buy? Is Illinois Tool Works Inc. (ITW) A Good Stock To Buy? Were Hedge Funds Right About Getting Into Bank of Montreal (BMO)? Were Hedge Funds Right About Selling Northrop Grumman Corporation (NOC)? Were Hedge Funds Right About Dumping FedEx Corporation (FDX)?